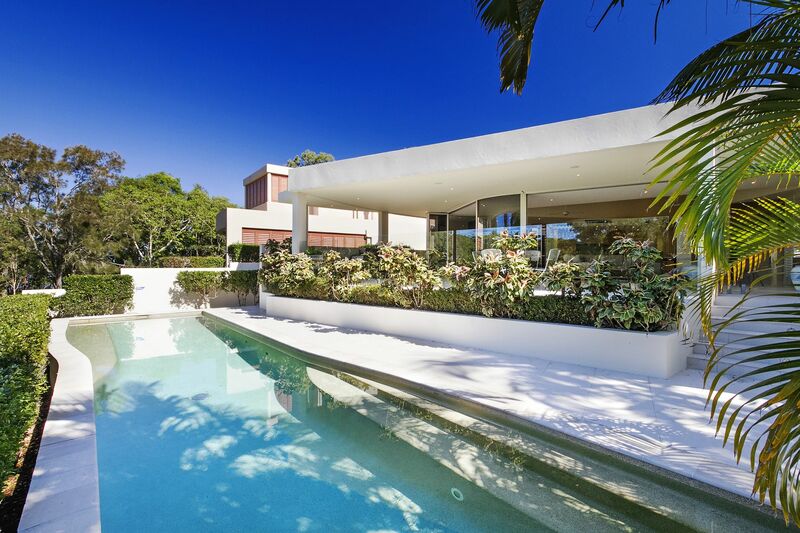 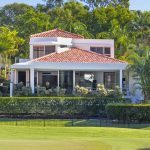 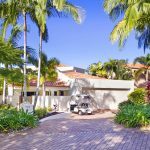 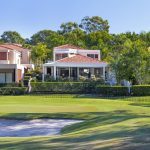 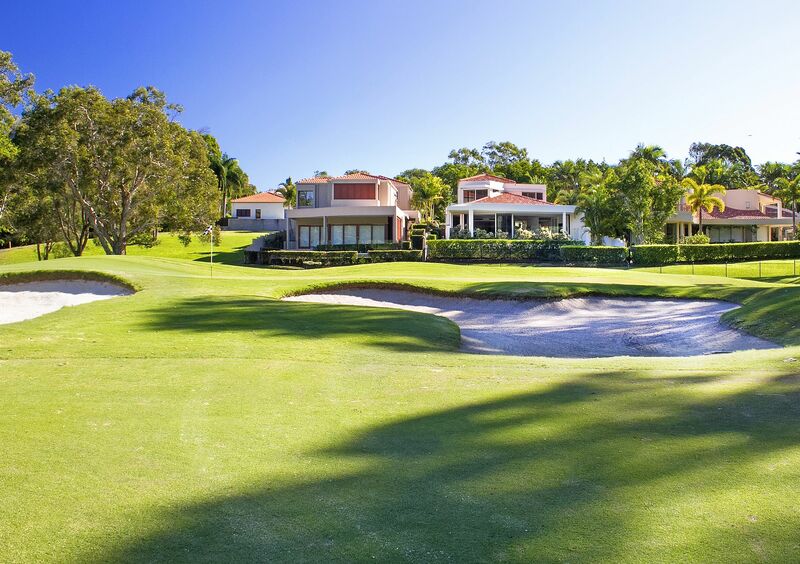 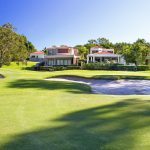 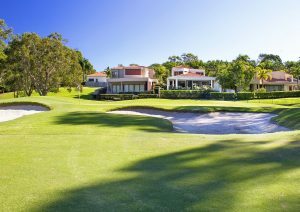 The long walk down the second hole at Noosa Springs gives the best view of this elegant home, majestically elevated behind the putting green and without doubt one of the most coveted residences in this gated estate full of stunning homes. 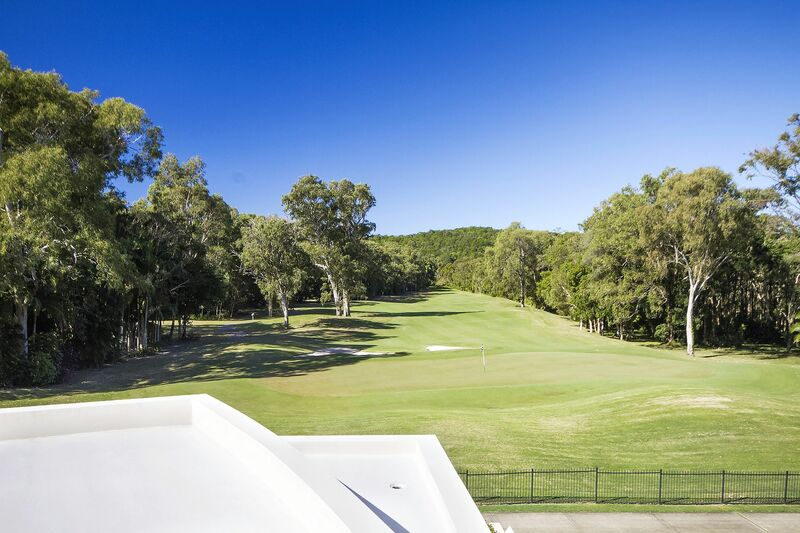 The return view from the terrace is a perfect opportunity to watch fellow members as they work their way straight down the hole towards you. 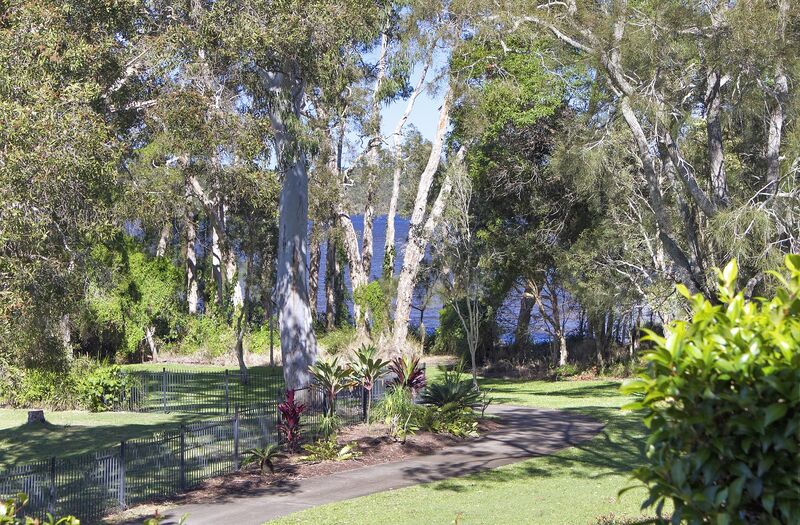 Lake Weyba is two doors away, providing the opportunity for leisurely kayaking or bird watching. 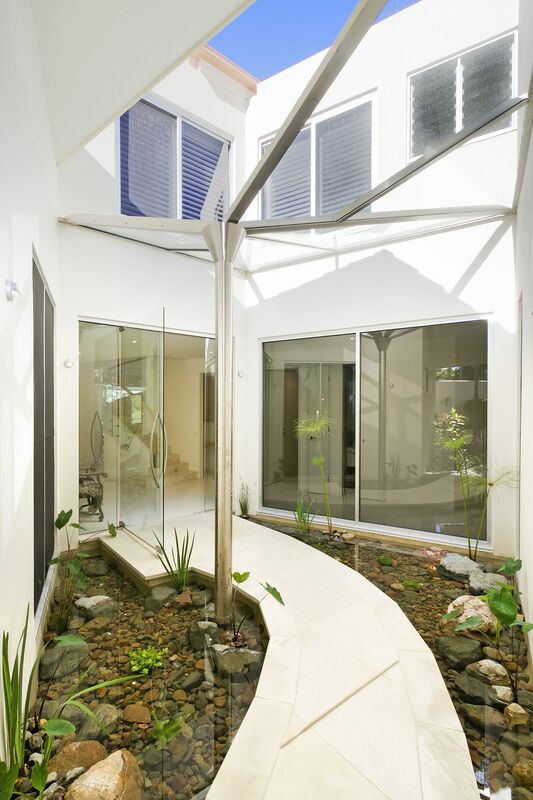 Entry to the home winds on a raised limestone tiled platform past a tiered pond and water feature, through a large glass pivoting front-door into a foyer from where radiates the open plan living, with dining areas and kitchen, the TV room, powder room, laundry, as well as 2 spacious bedrooms with their own bathrooms. 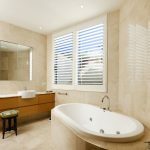 Large off-white glossy tiles lend a very sophisticated air to all living areas, complementing the pale carpet in the bedrooms. 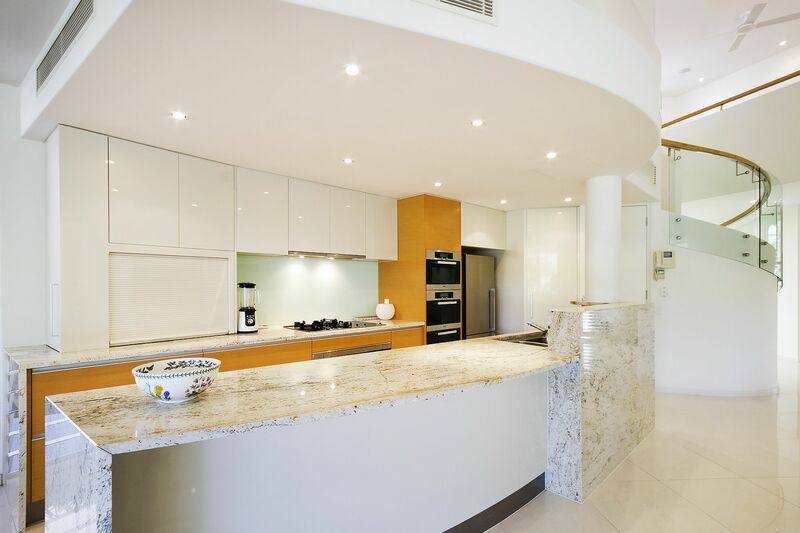 Serious chefs will have no problem with the sleek and beautifully designed kitchen with its Miele appliances, beech timber cabinetry and stone bench tops. 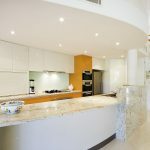 The pantry is large and alongside, there is a second large storage cupboard. 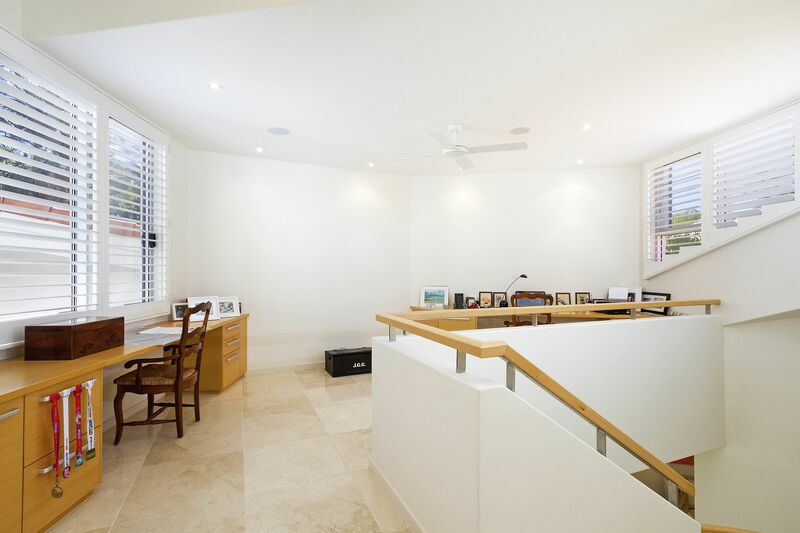 Next to the computer/library nook in the foyer, a lavish marble staircase with specifically designed curved glass balustrades and bent timber railing leads to a spacious double office. 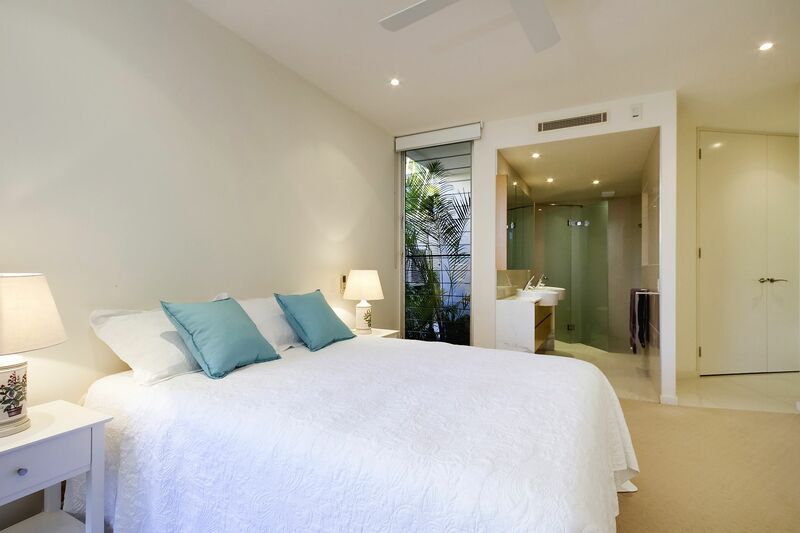 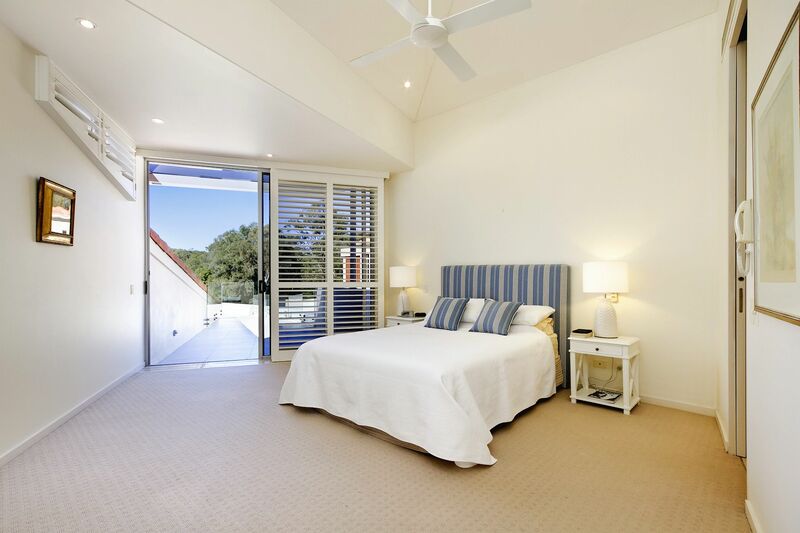 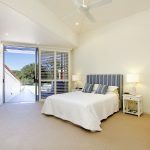 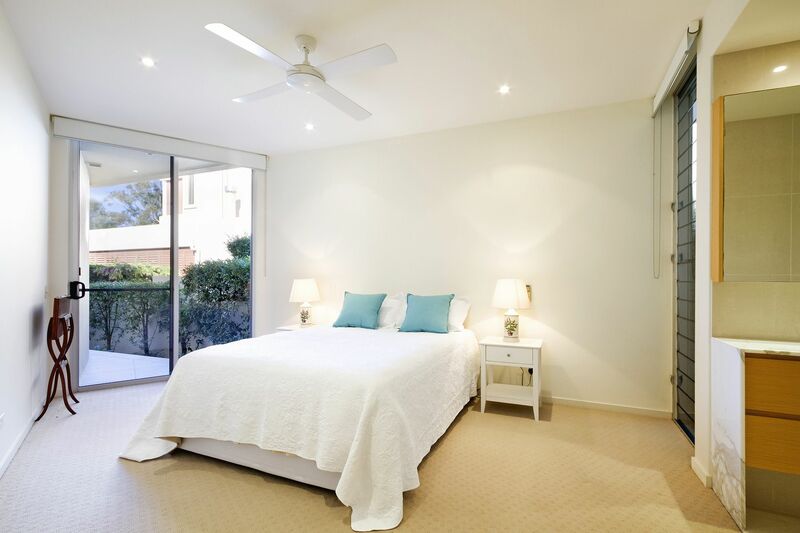 The adjacent master bedroom suite with double sliding doors opens up to a sunny terrace on the golf course side. 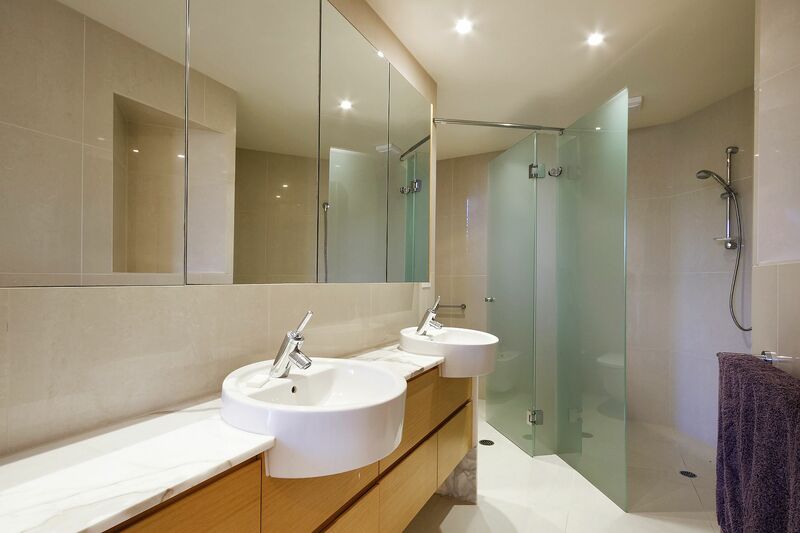 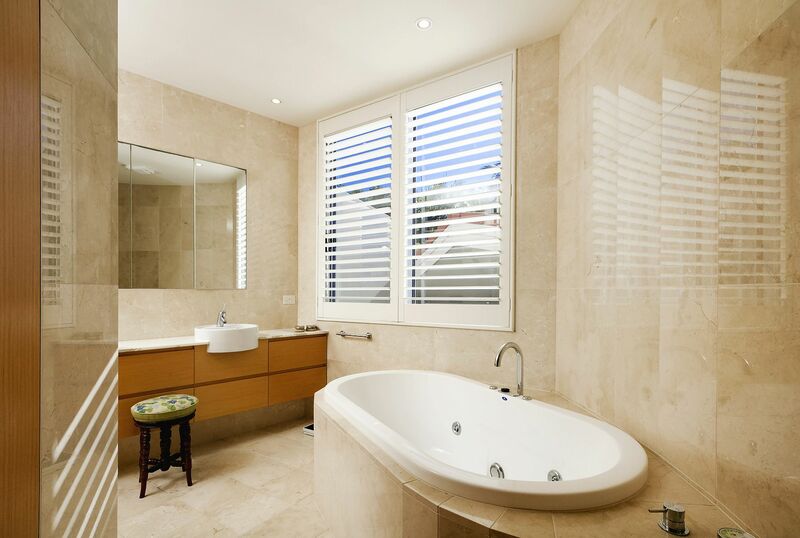 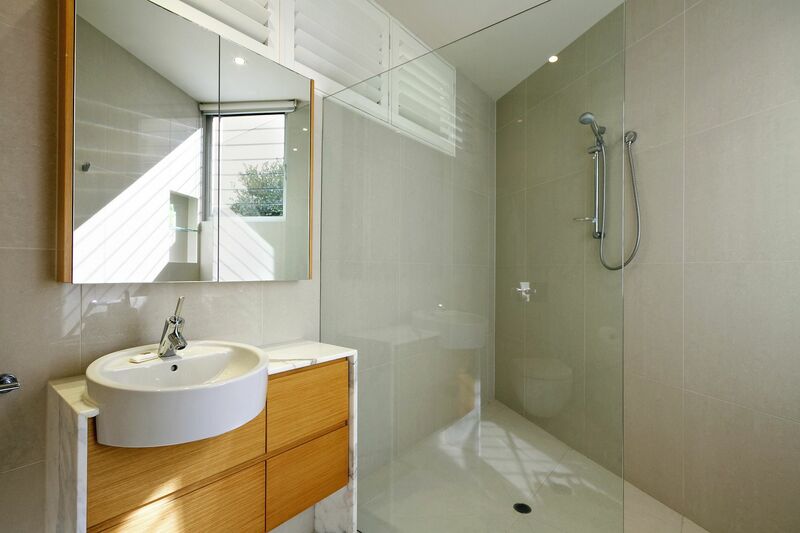 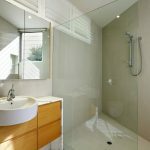 The bathroom is fitted with a classy bidet/toilet combination, large spa bath and separate glass-free walk-in shower. 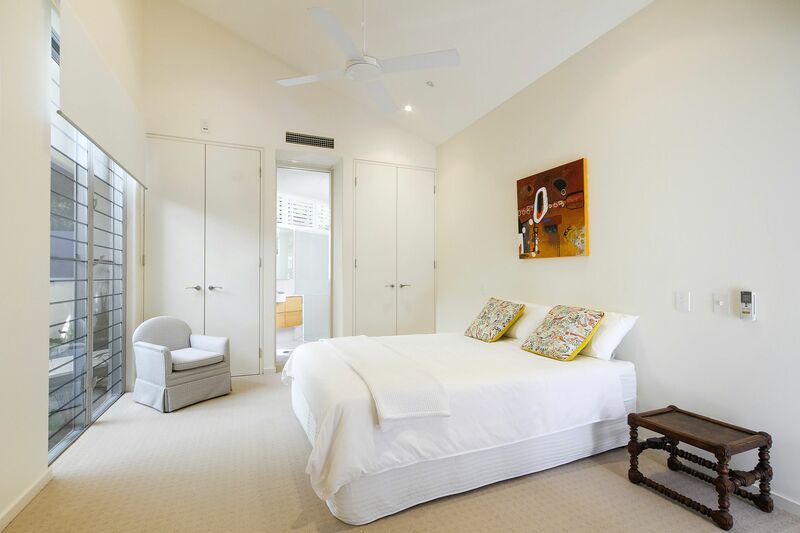 There is plenty of storage in the sophisticated timber-fitted walk-through robe. 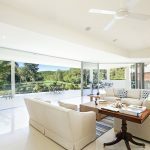 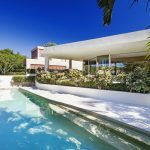 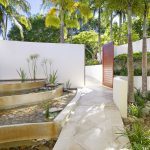 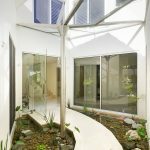 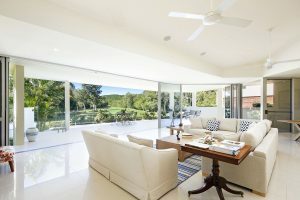 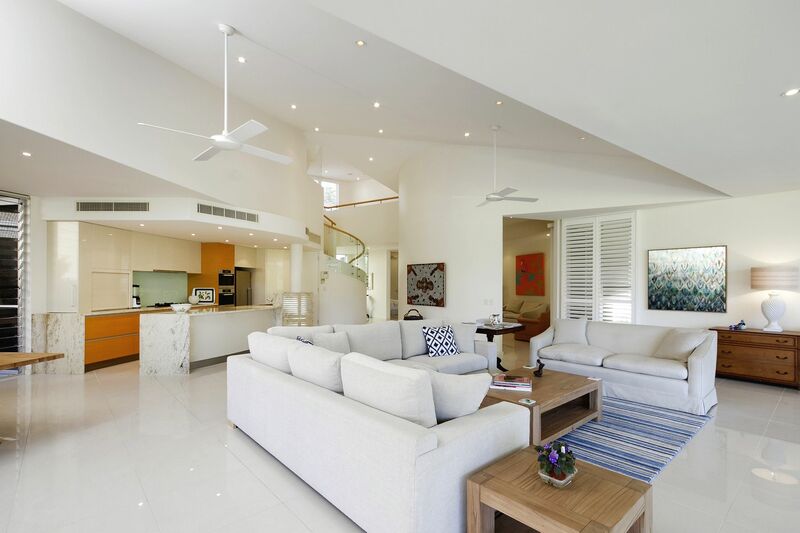 The entire eastern wall of the home is a combination of concertina doors and a especially manufactured curved glass insert, to allow the golf course to dominate immediately – only then do you notice the spacious terrace overlooking a large beautiful pool. 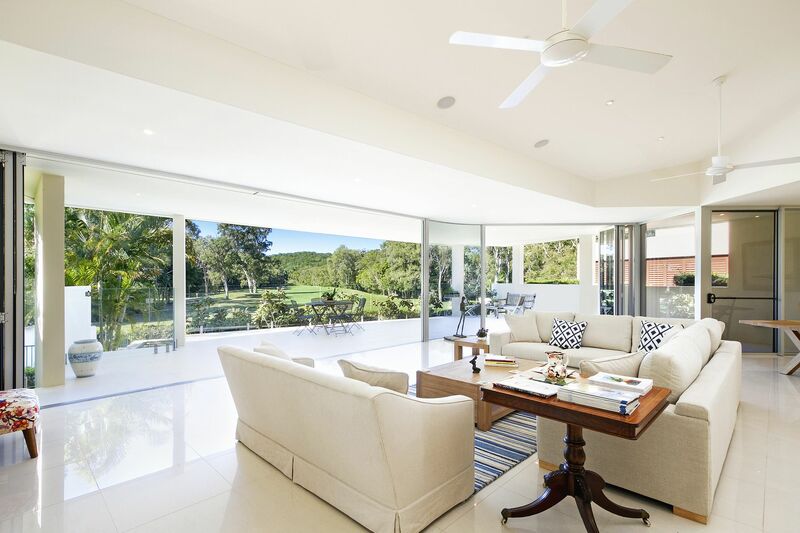 Ceilings are ultra high and the copious use of glass and louvres means a bright, light home in all areas. 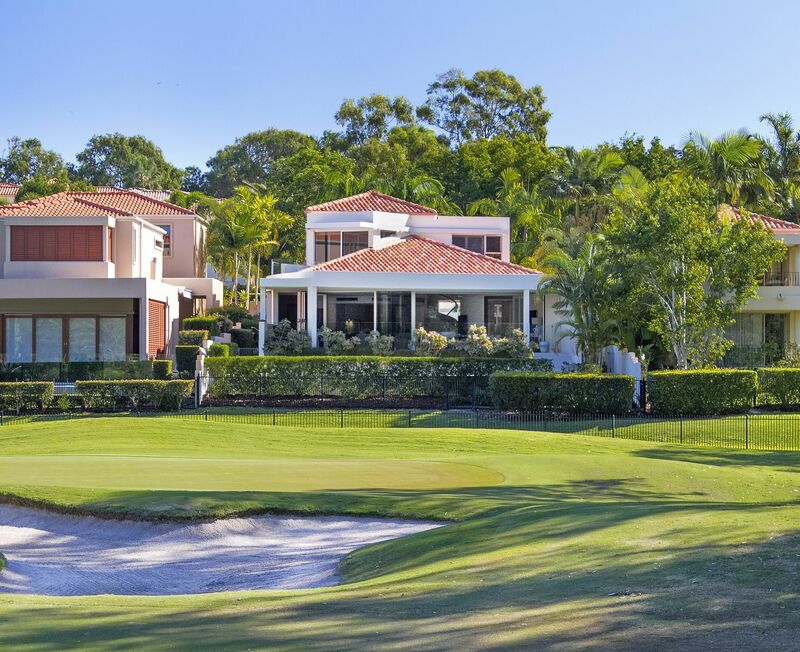 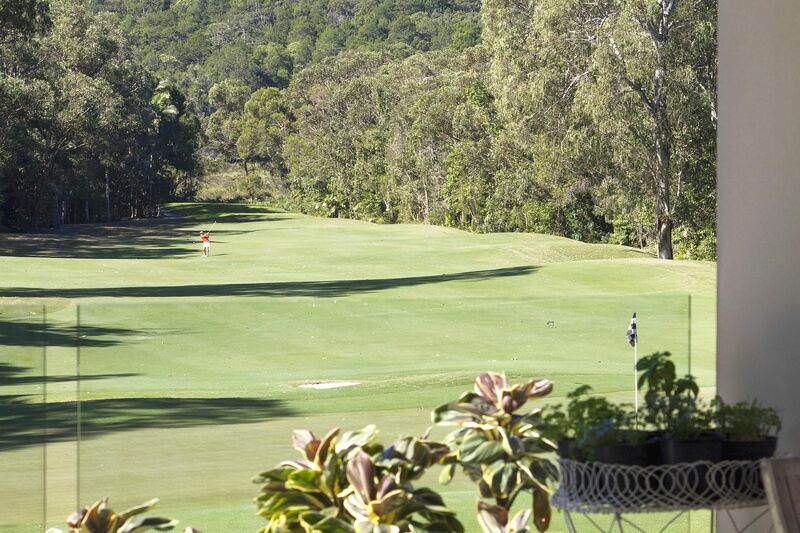 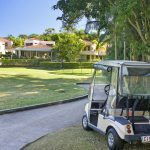 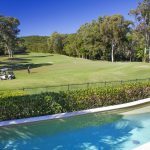 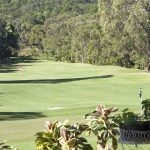 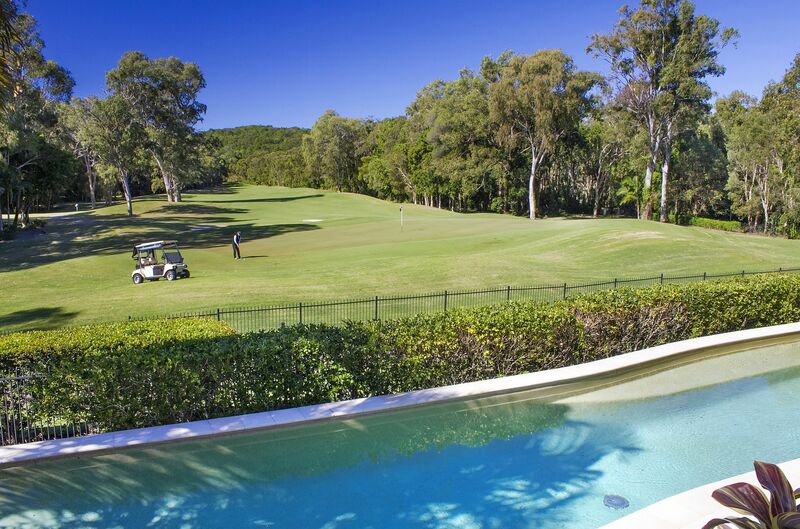 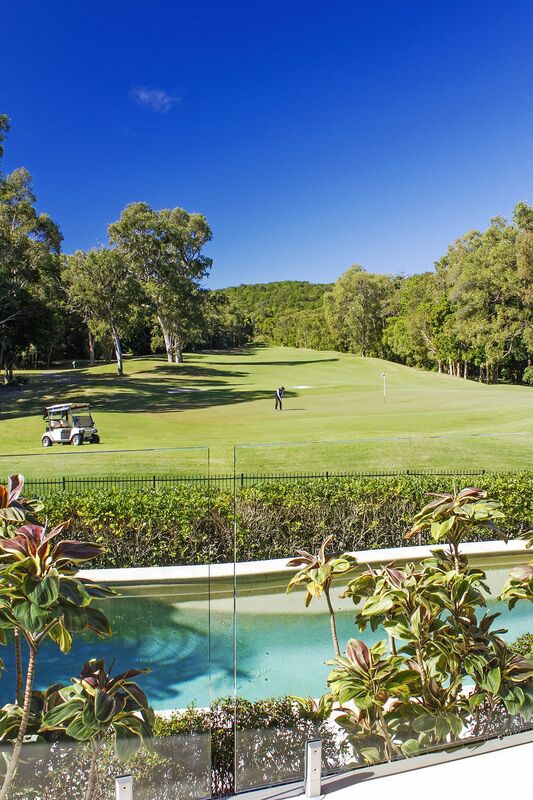 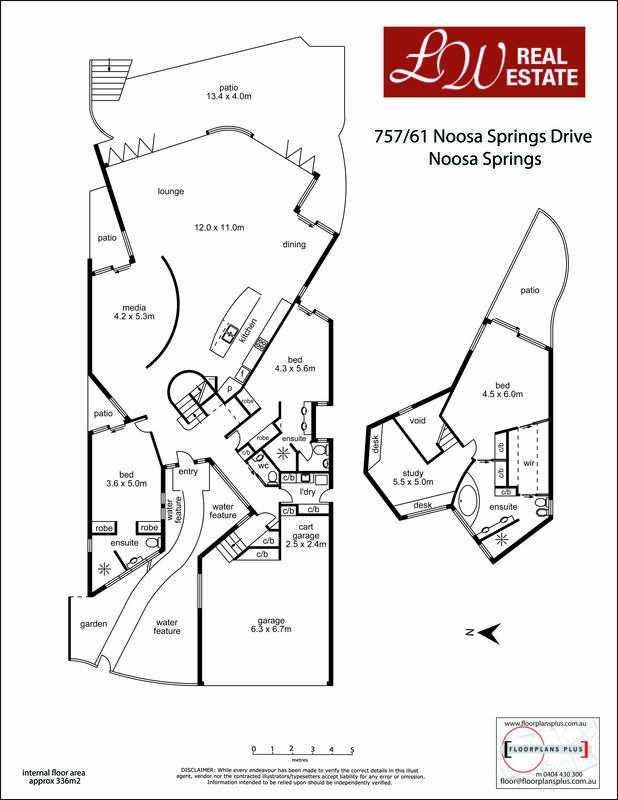 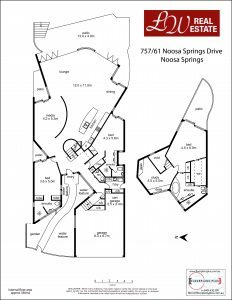 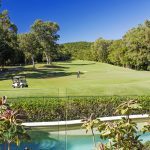 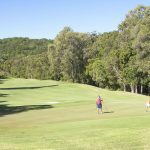 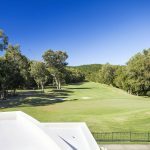 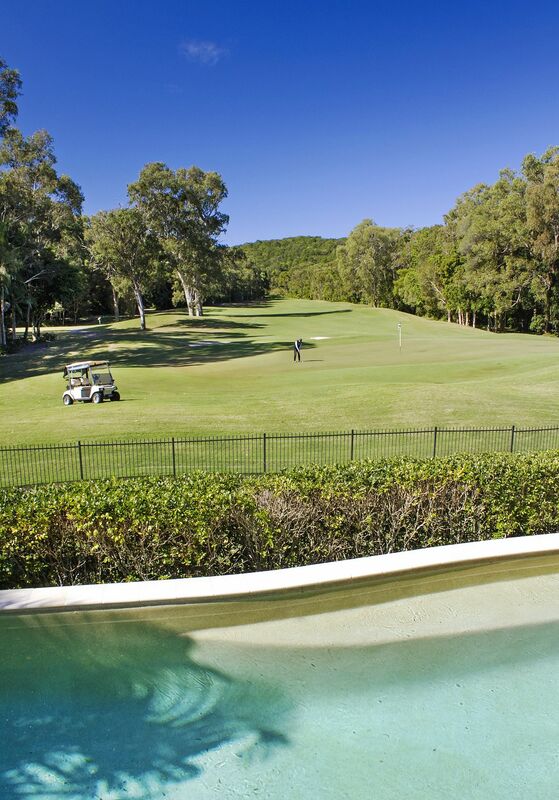 Built in several stages over 8 years, Noosa Springs was embraced by golf lovers and non-golf lovers from the beginning. 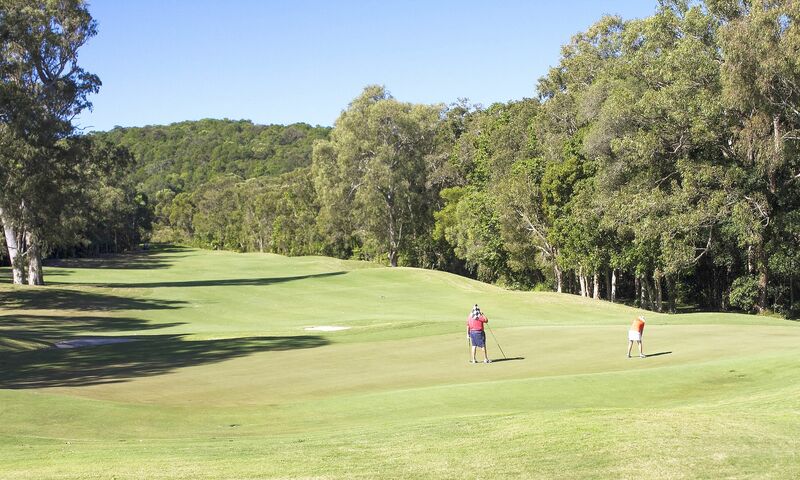 The course is of a championship level and the members are justifiably proud of it. 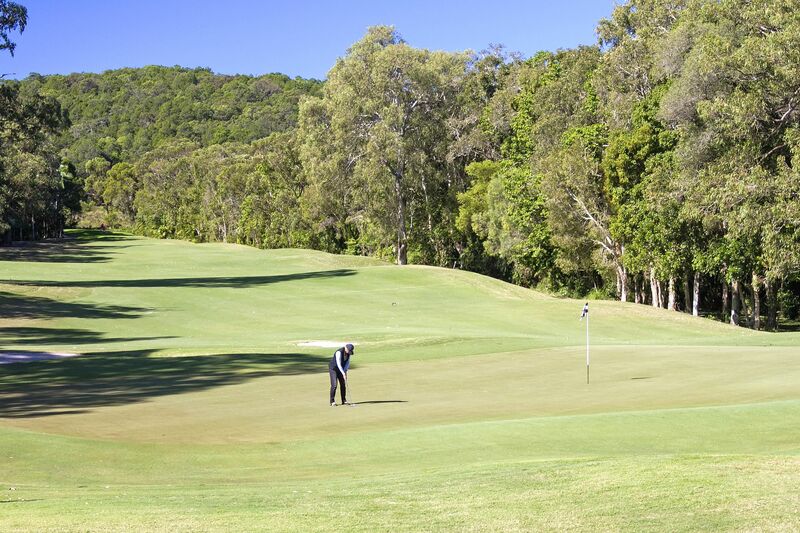 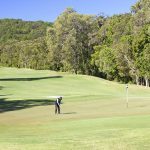 Water plays a large part in the beauty of the course with some of the lakes spring-fed, thus accounting for the name Noosa Springs. 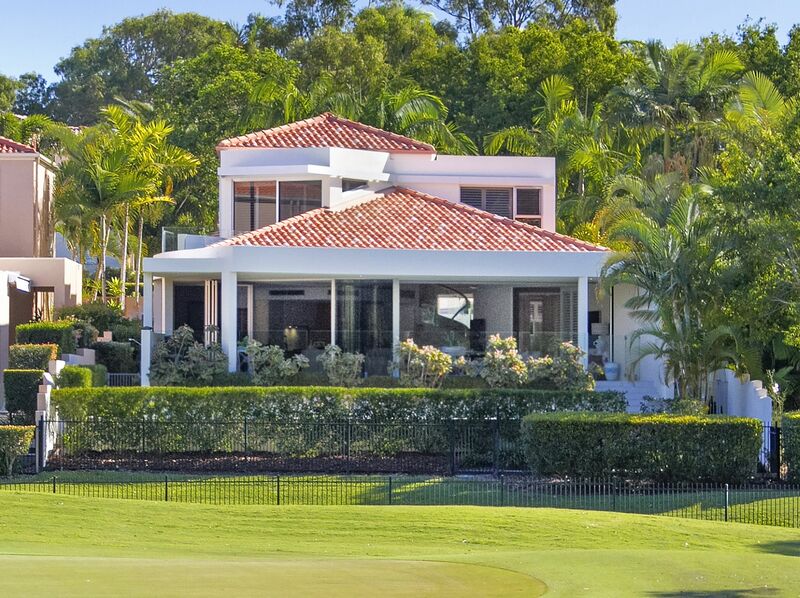 A porte-cochere creates a stylish entrance to the pro-shop and clubhouse, which has a large circular terrace as part of its excellent restaurant and bar area. 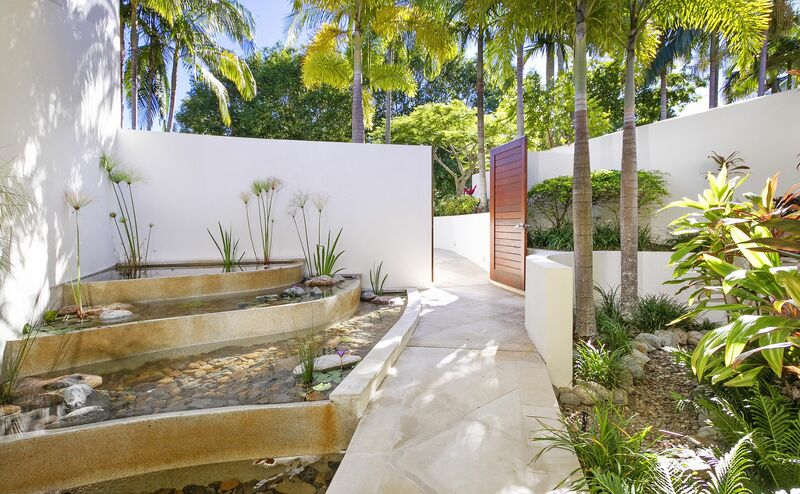 The spa is world class and features a large hydrotherapy pool, many massage rooms and a gym with a heated pool. 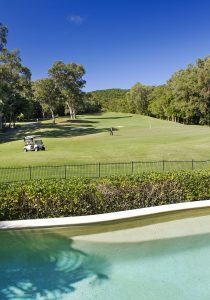 Tennis courts on a higher level are beautiful to play on and feature a stunning view over Lake Weyba, and many residents enjoy an early Thursday start. 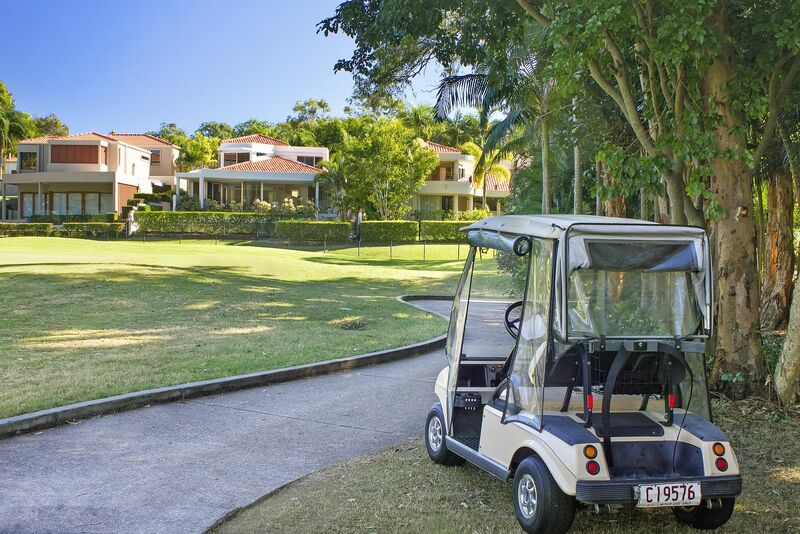 Not all residents are sporty and are happy to enjoy the beautiful surrounds, the security and the proximity to shopping. 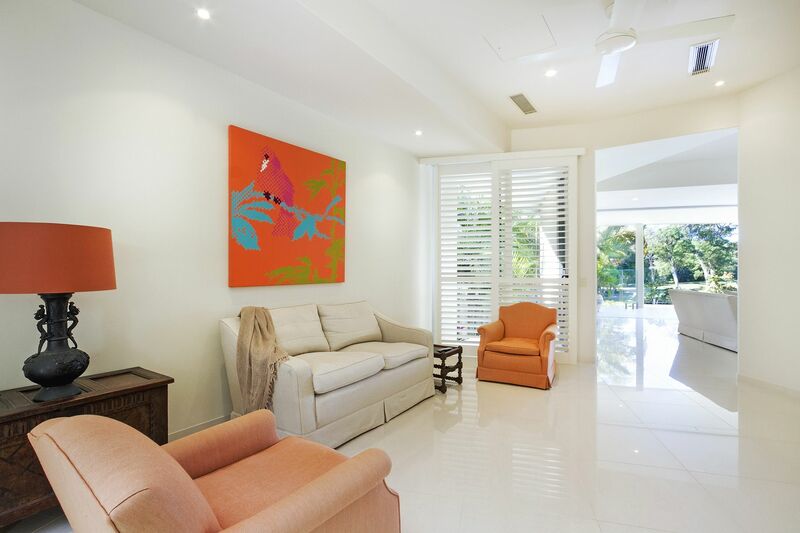 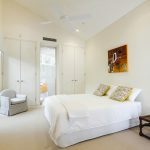 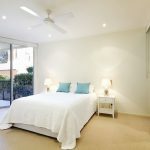 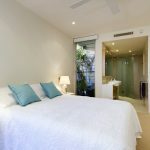 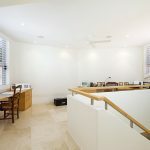 One of the great assets of living in this desirable estate is that it is centrally located, with approximately 4-5 minutes’ drive from Main Beach, and Hastings Street with its famous shops and first class restaurants and bars. 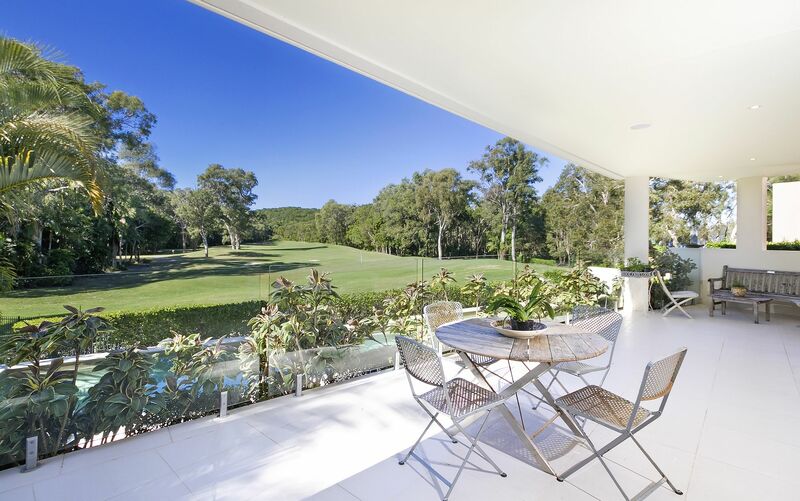 Gympie Terrace has a lot to offer with its café culture, many restaurants, tapas bars, shops, walks along Noosa River, is a less than 10 minutes’ drive away from the estate entrance, and Noosa Junction, the movies, supermarkets, bars and restaurants are only a walk away. 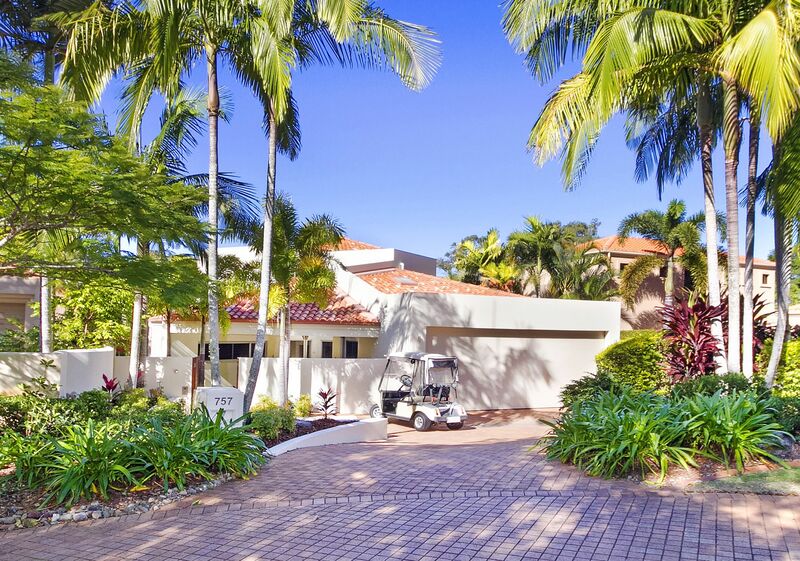 Driving in through the gatehouse area is also a joy – the gardens have always been an integral part of this secure estate, and have won many awards. 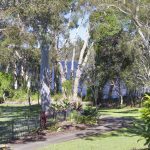 First planted with gardenia hedging and many palm trees, it was immediately possible to see how beautiful the precinct driveways would become.